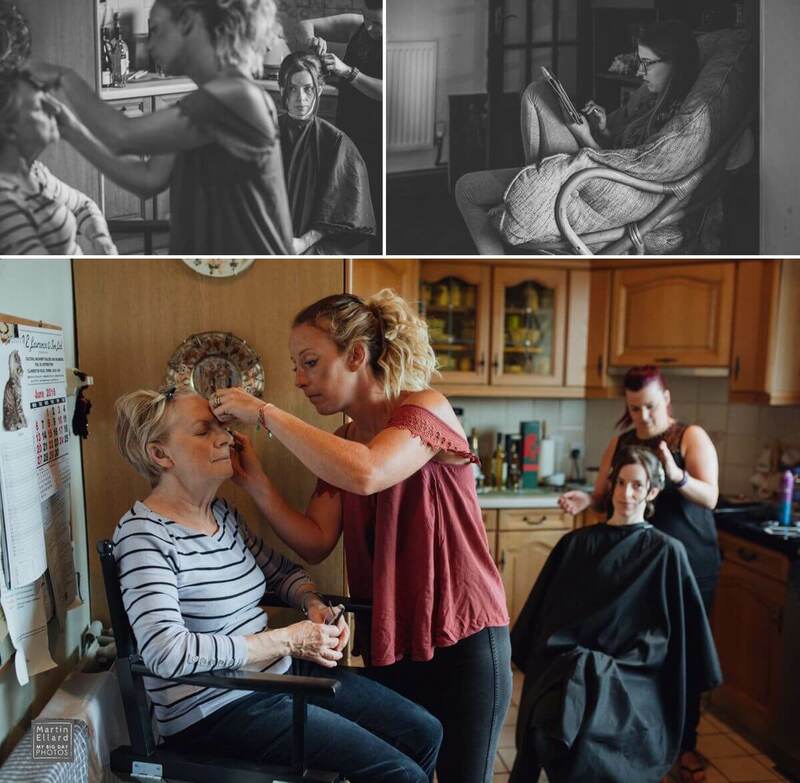 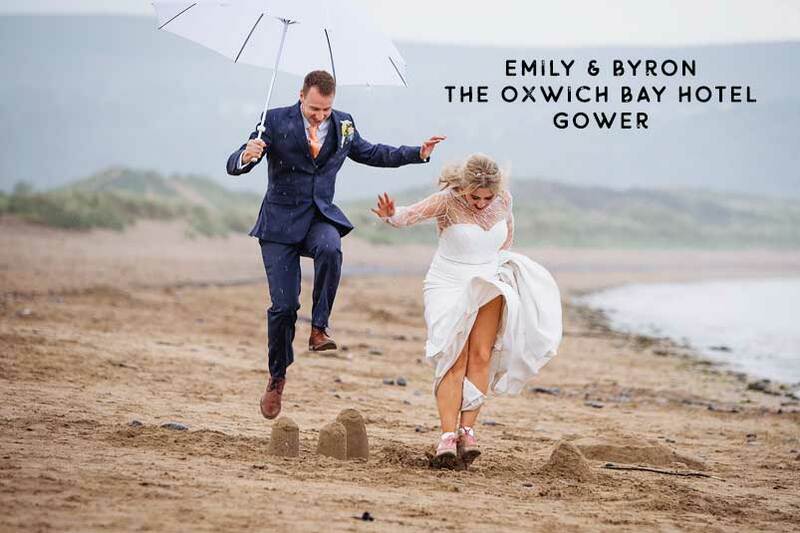 You may have seen Sam and Eleri’s engagement shoot, if not take a look HERE, it will explain a few things about this lovely couple and their wedding day. 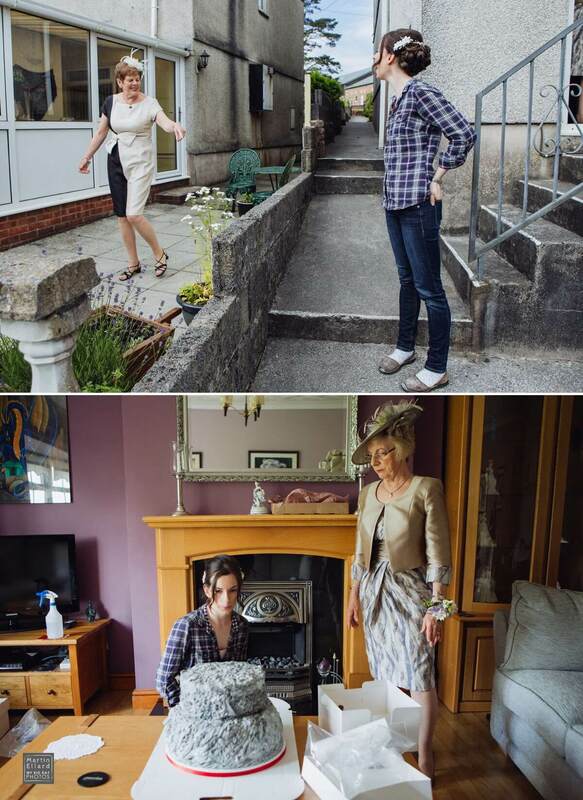 Eleri prepared for her big day at her parents home. 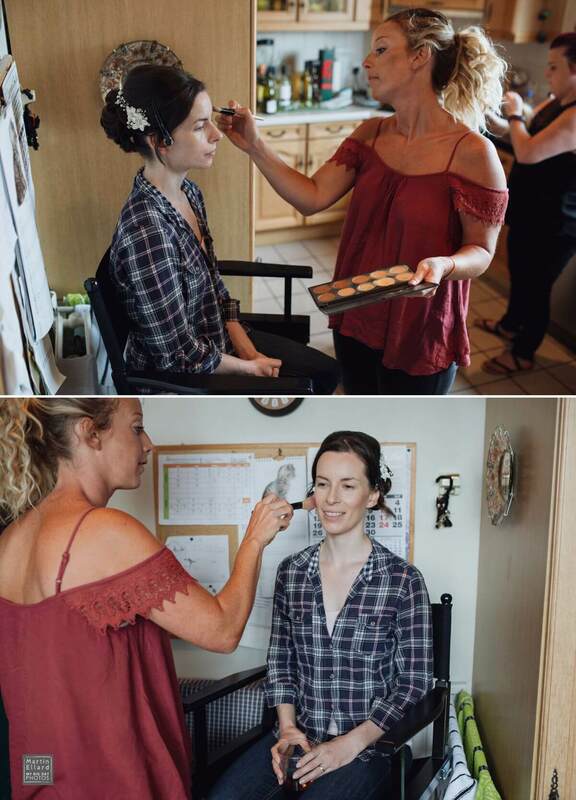 Makeup was by Katie Lancey and hair by Beck Lee. 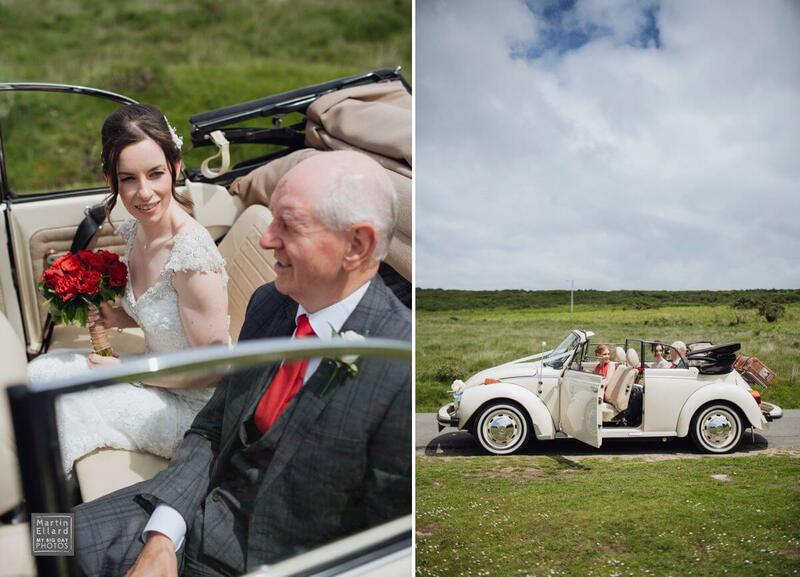 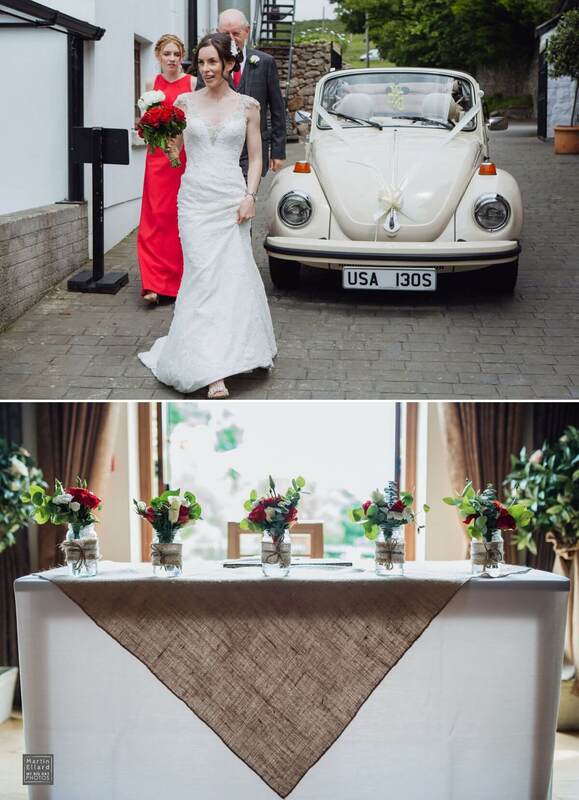 The bridal party were driven to the venue in a white soft top vintage VW Beetle from Love bug Weddings. 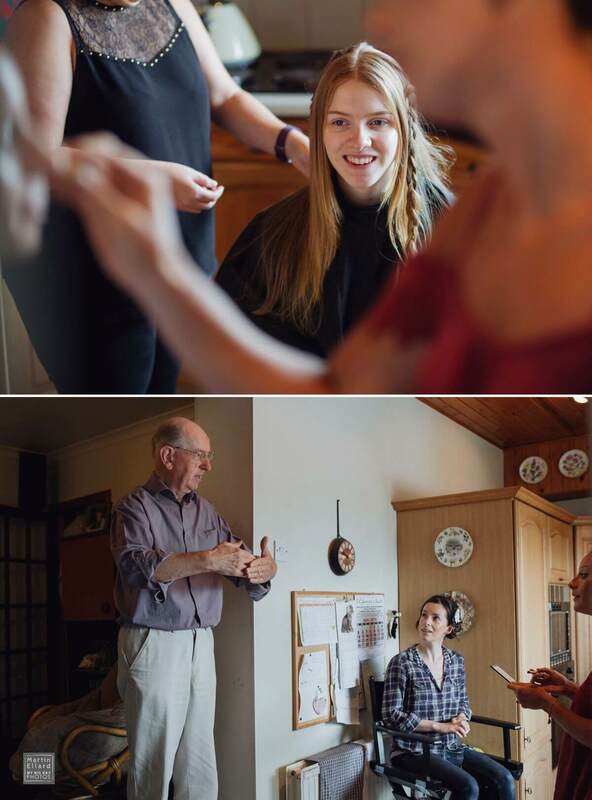 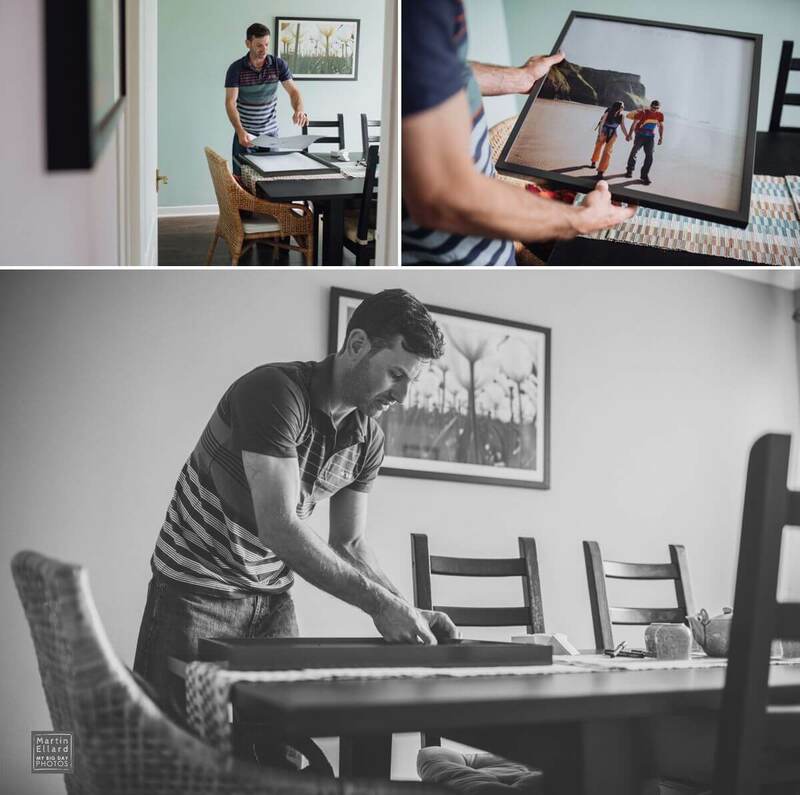 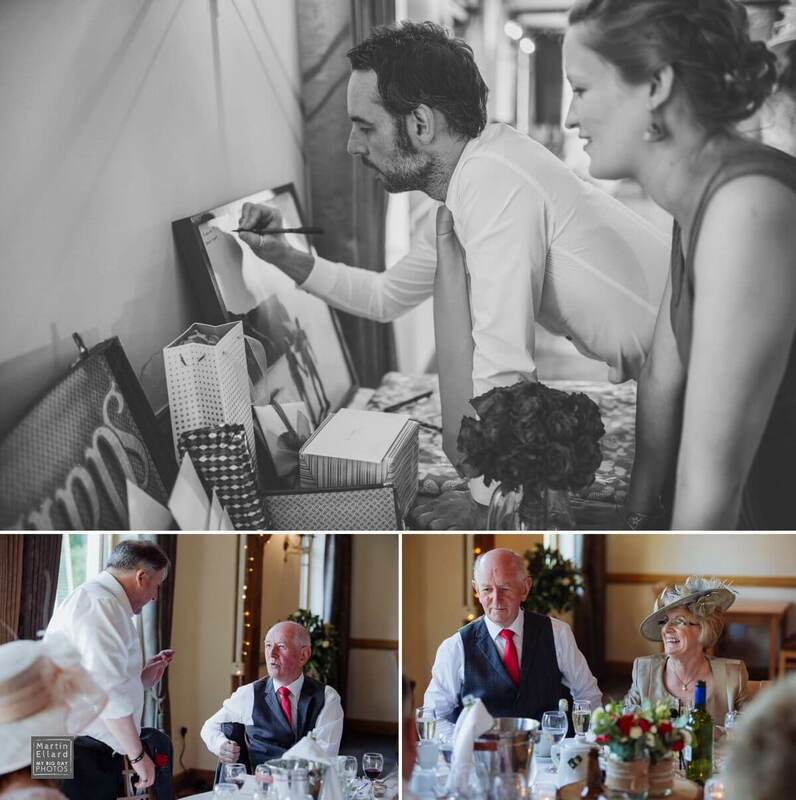 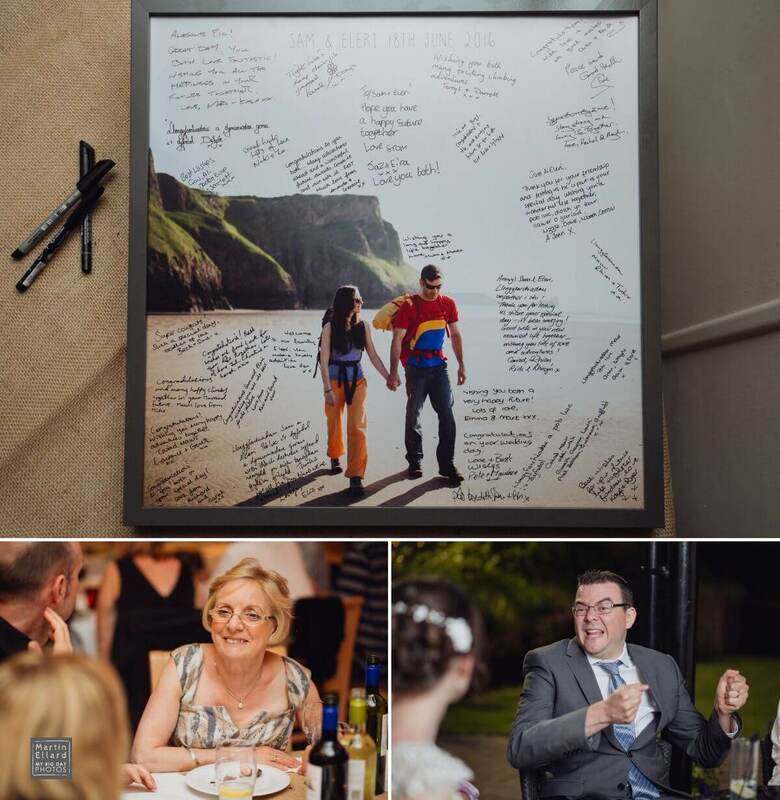 Sam started getting ready at the couple’s house and I popped by to deliver a large print from the engagement shoot, that they were going to have guests sign. 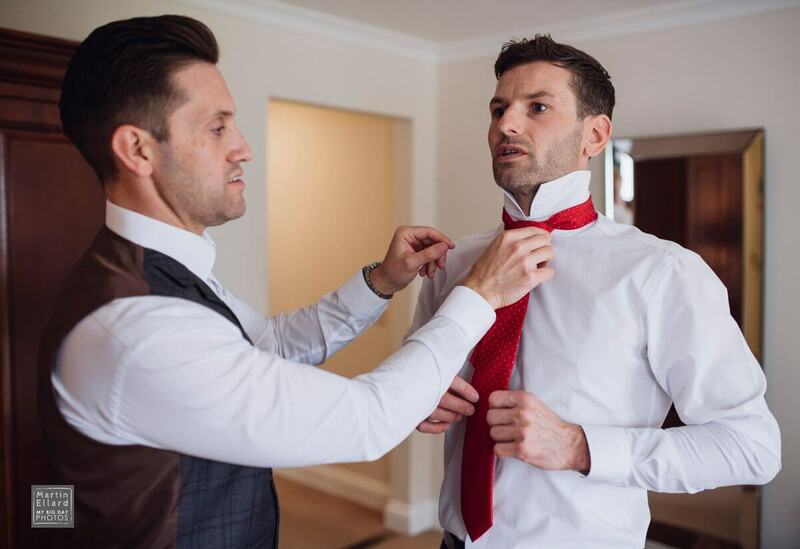 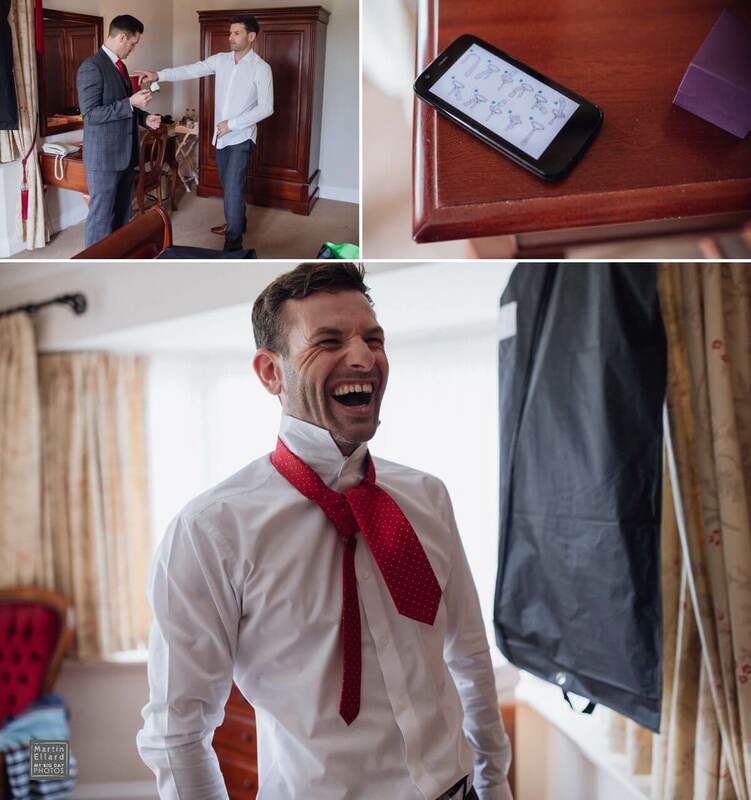 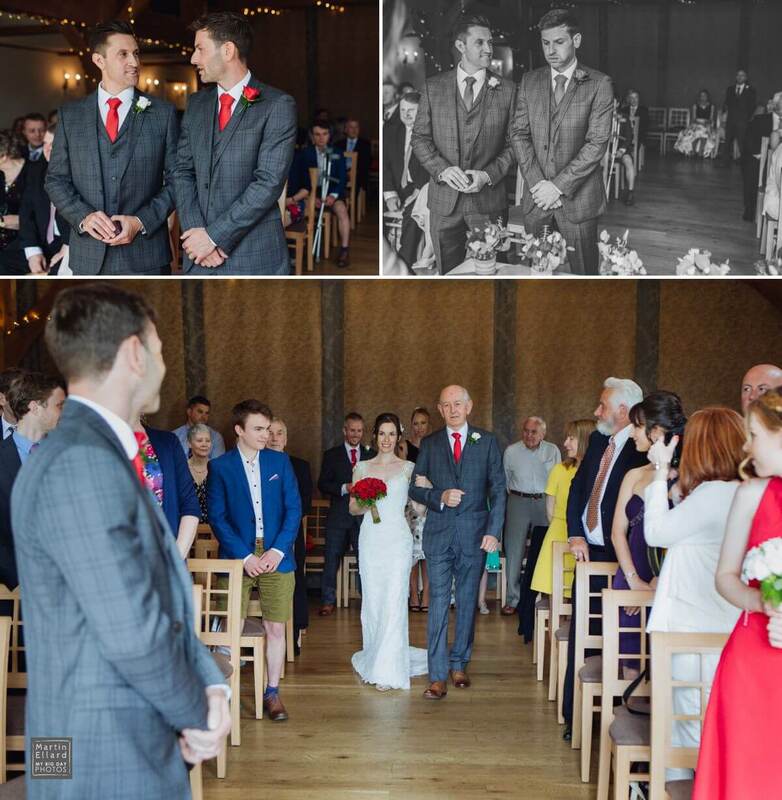 He then met up with his best man and usher at the venue where they had great fun trying to remember how to tie the ties. 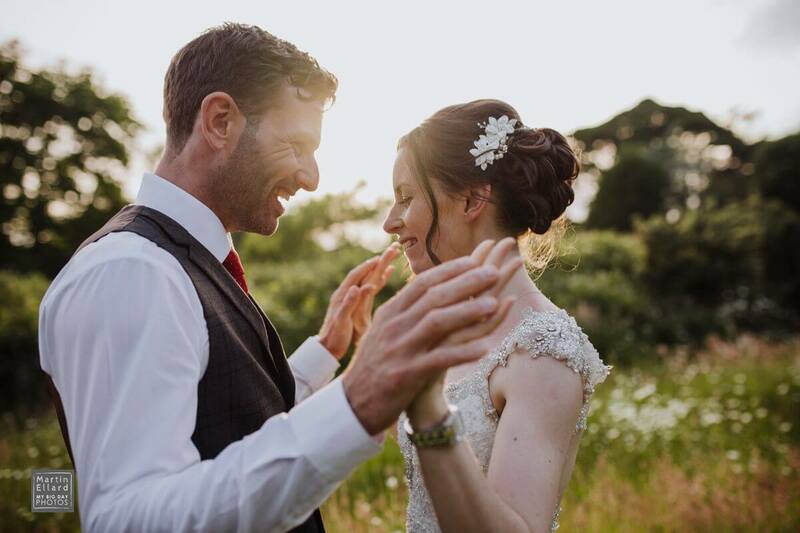 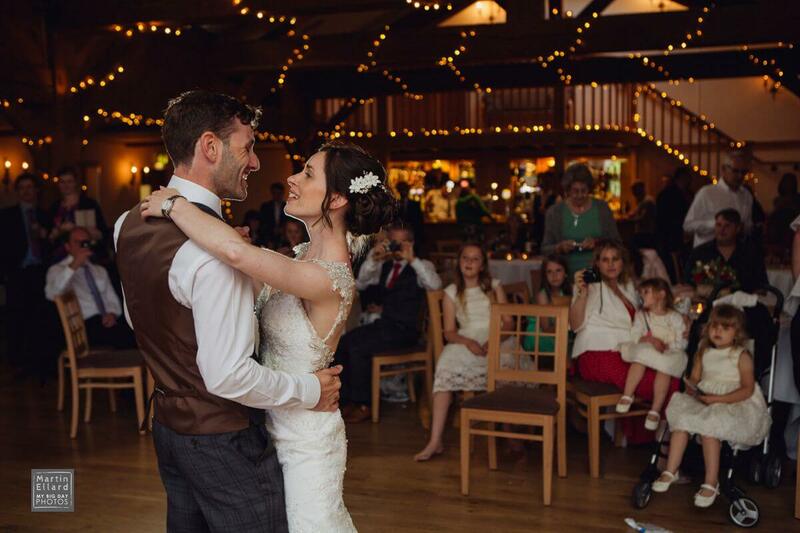 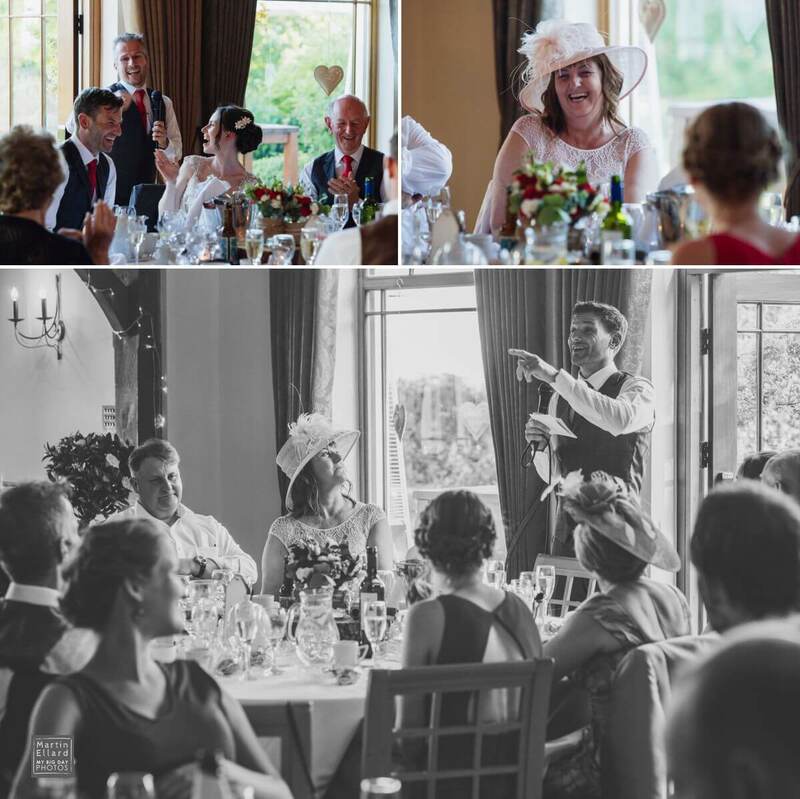 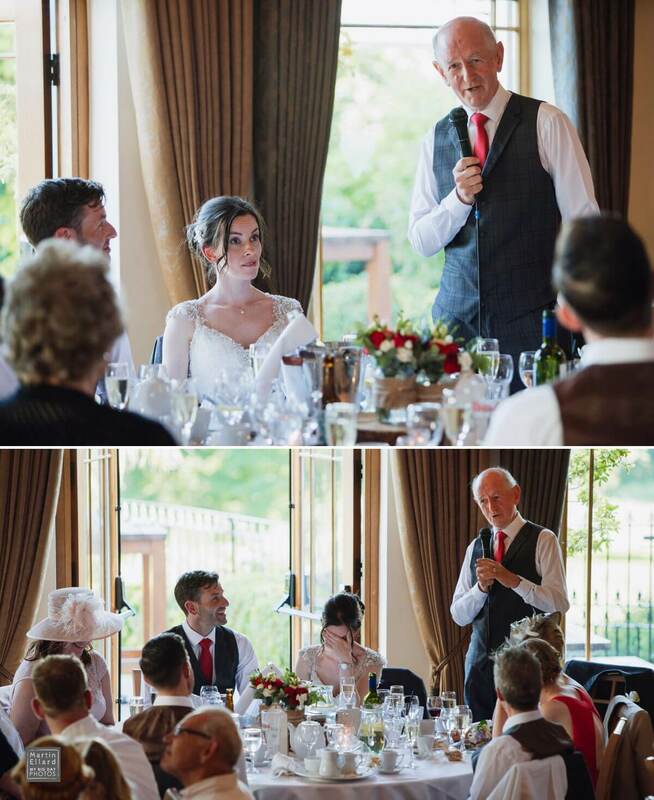 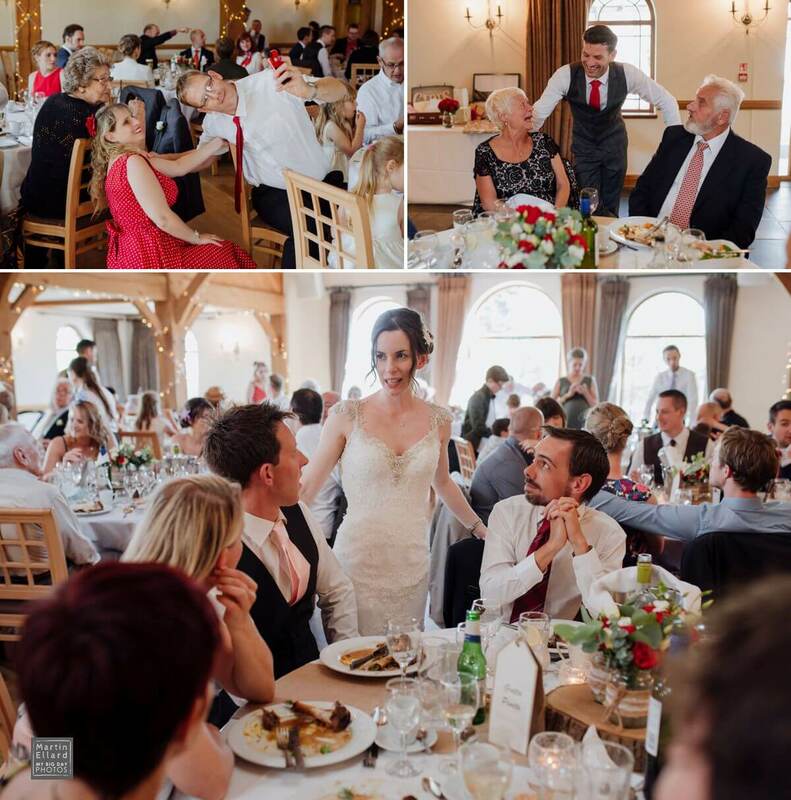 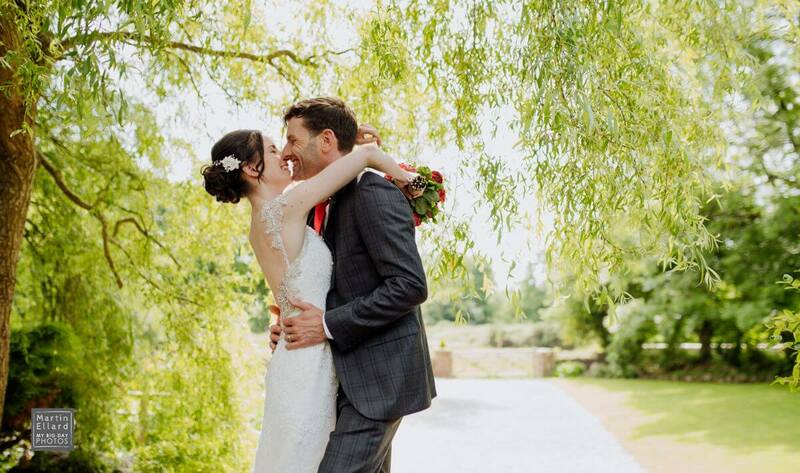 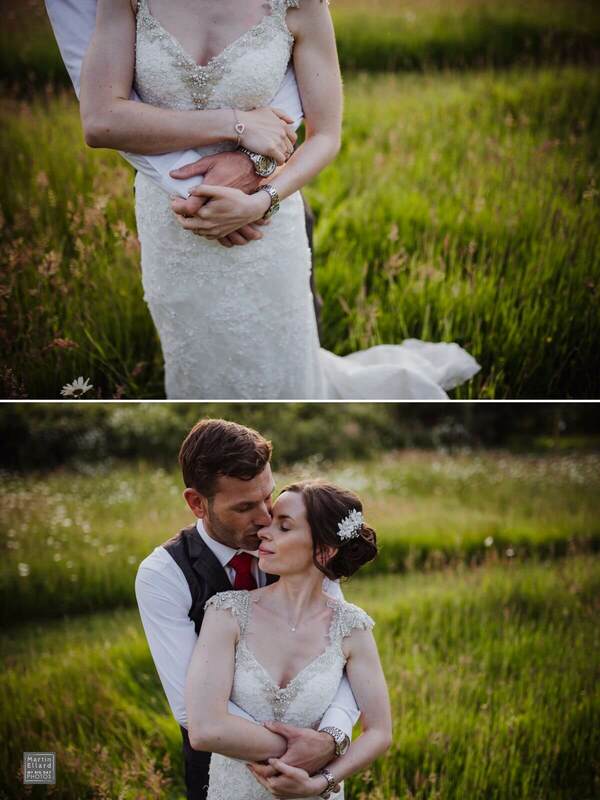 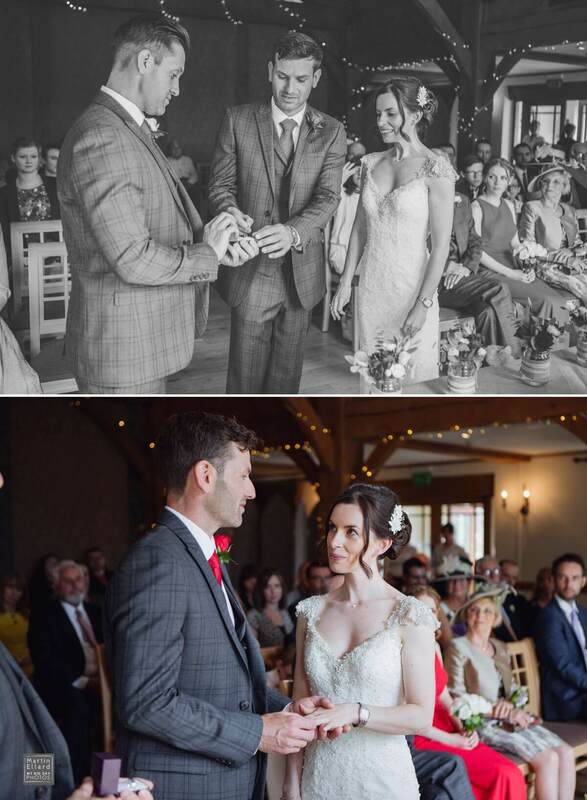 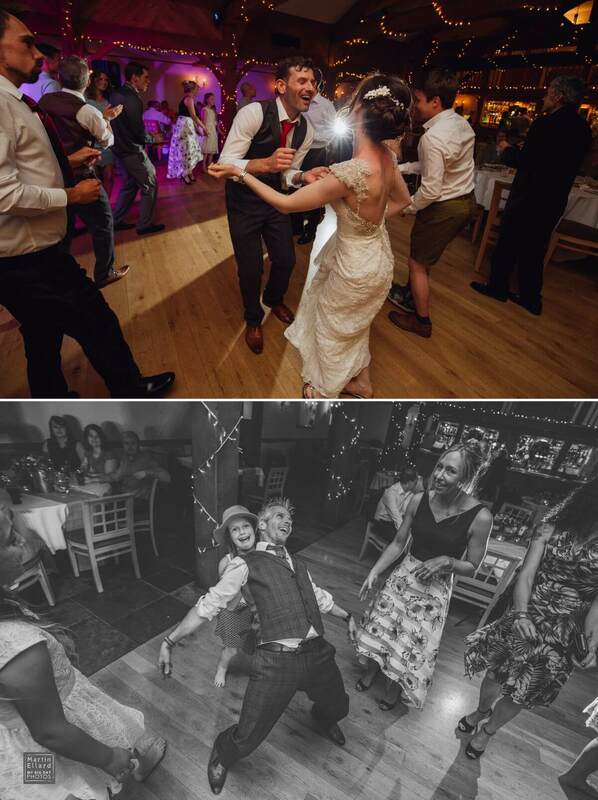 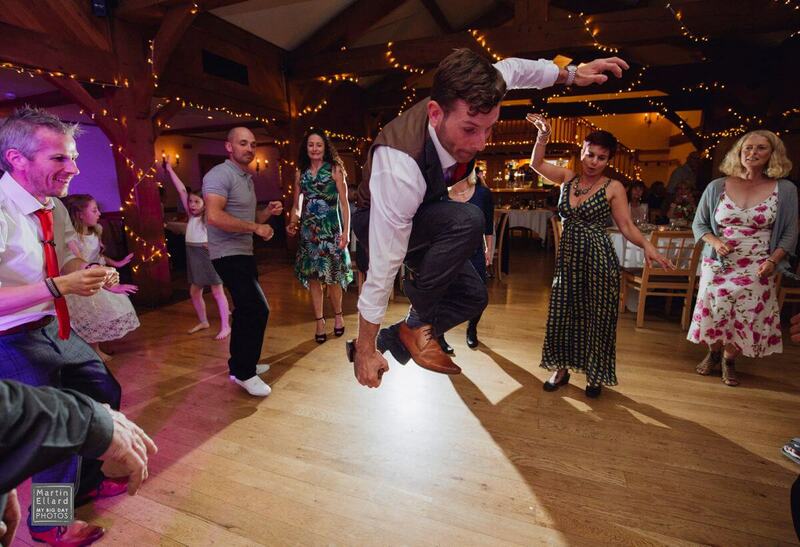 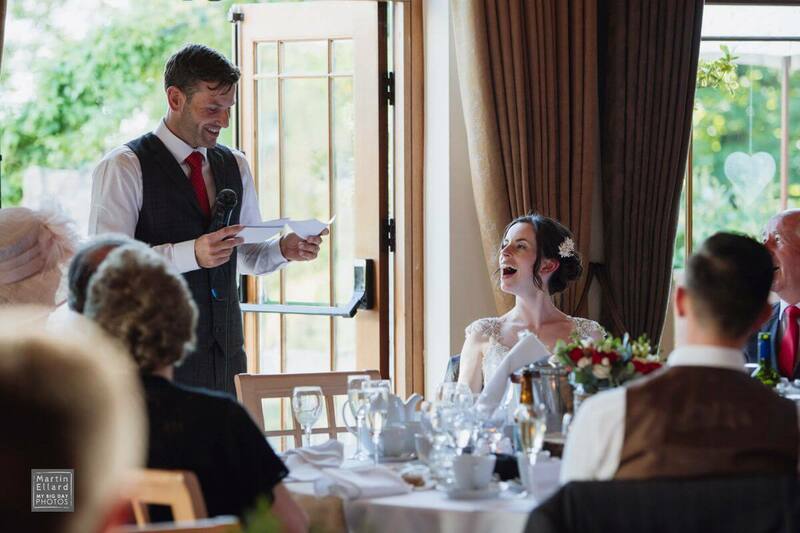 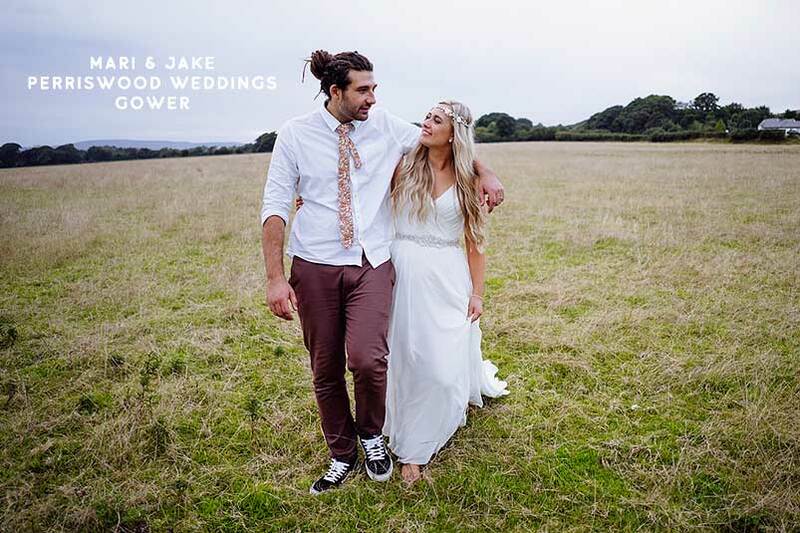 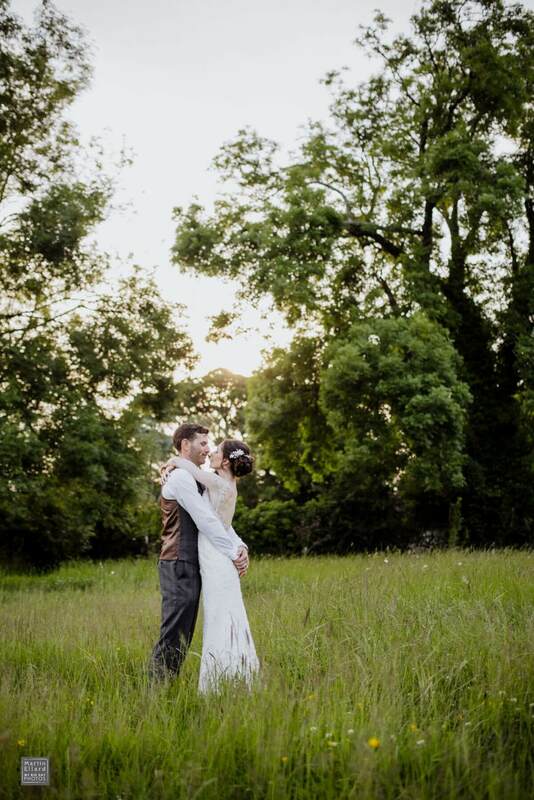 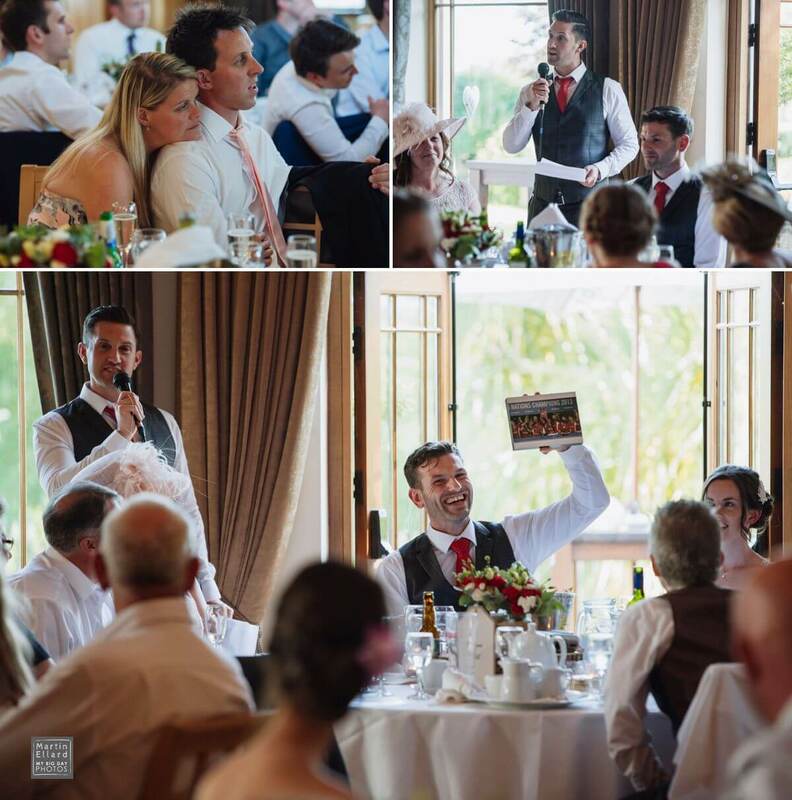 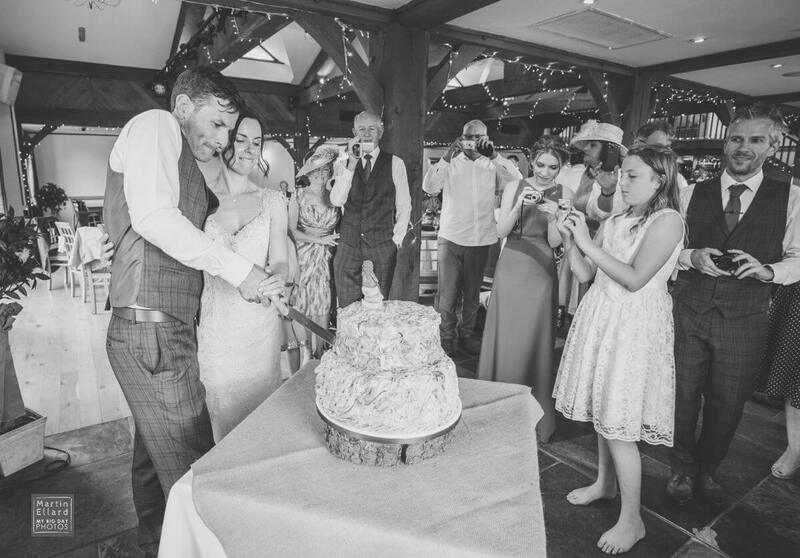 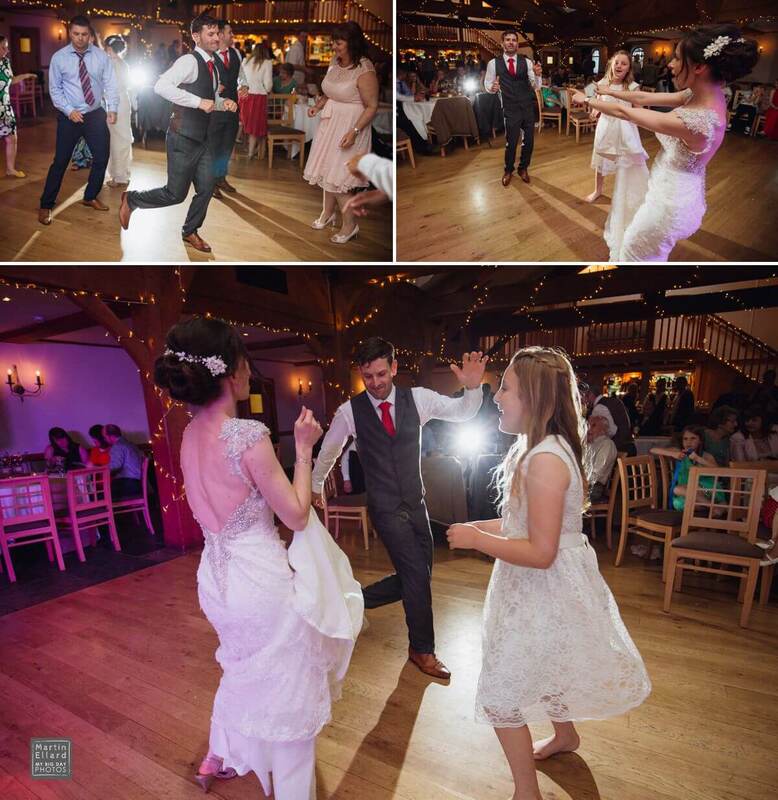 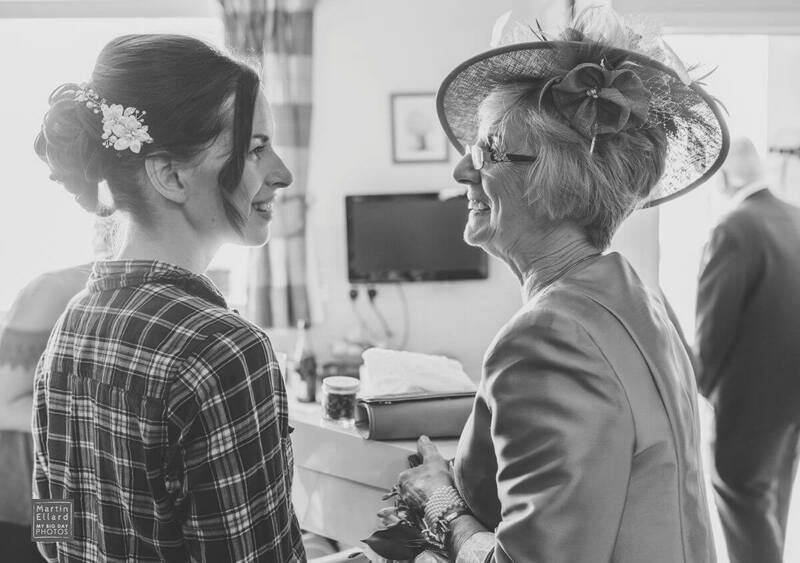 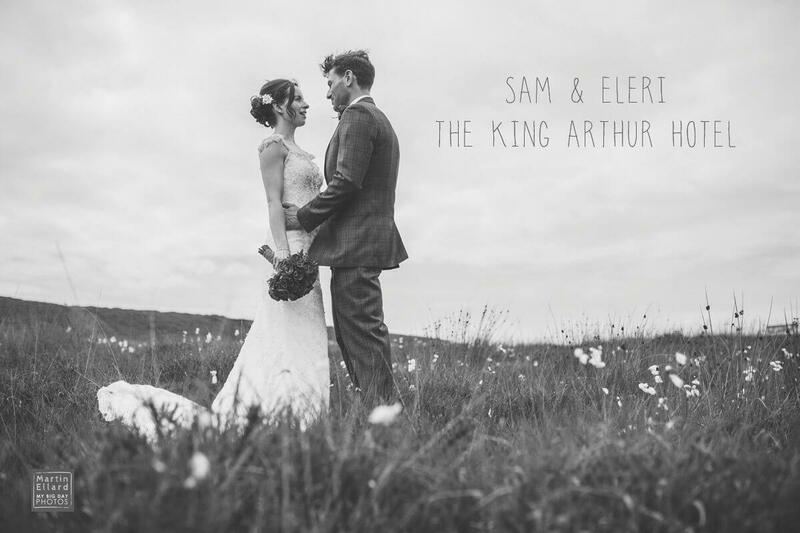 Sam and Eleri held their wedding ceremony and reception at The King Arthur Hotel, Reynoldston, Gower. 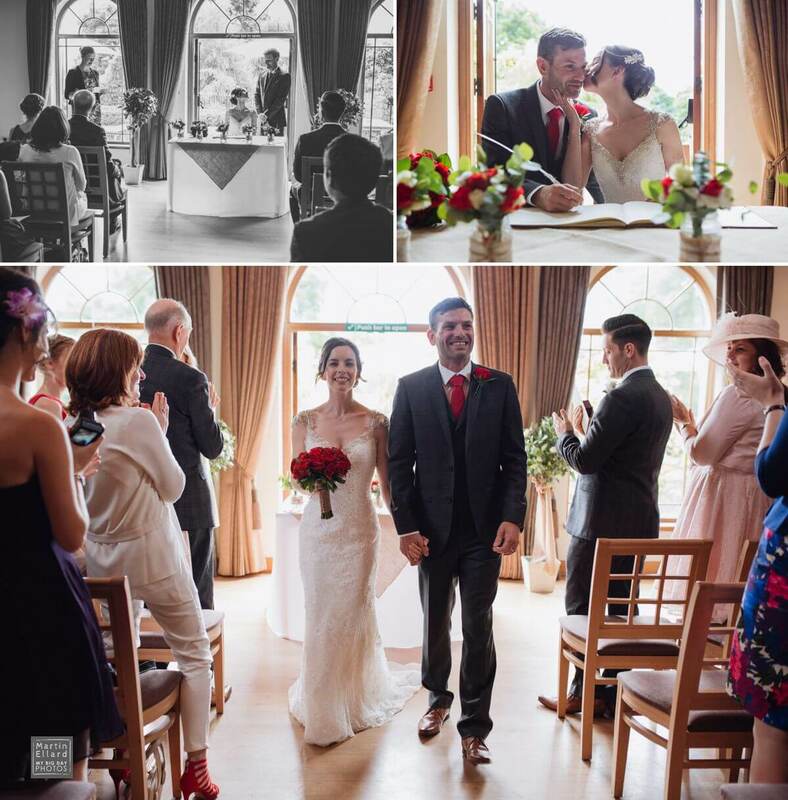 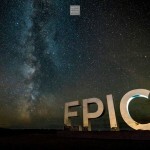 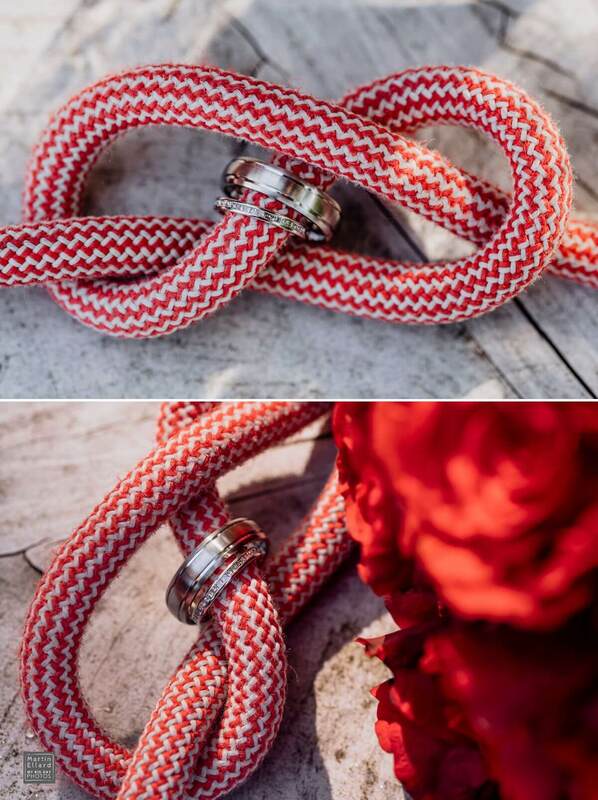 You will find some other examples of weddings at this amazing venue on my blog. 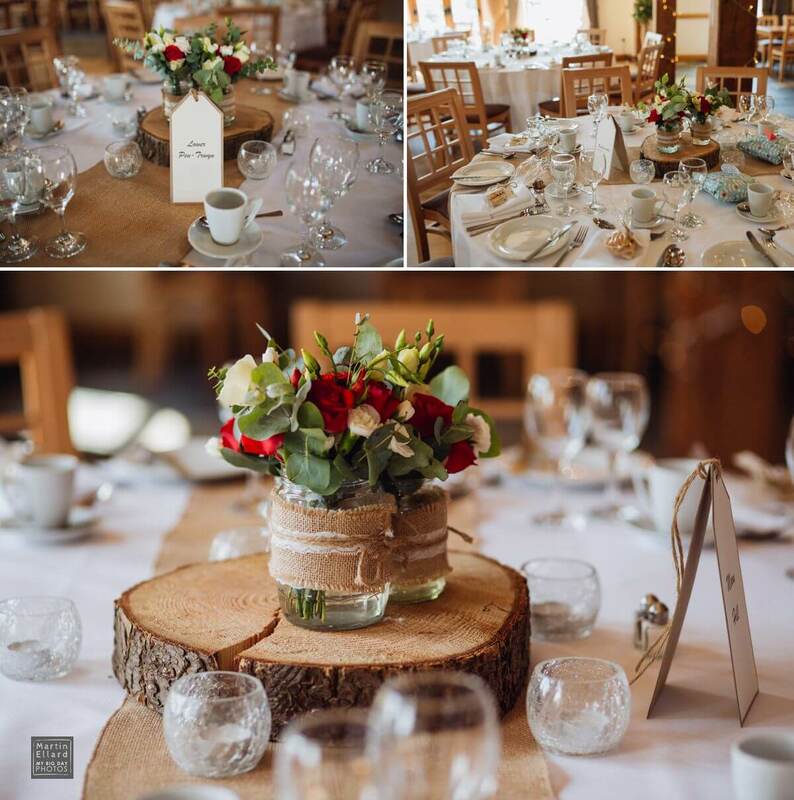 The room and reception tables were dressed by Enchanted Decor with a simple rustic theme. 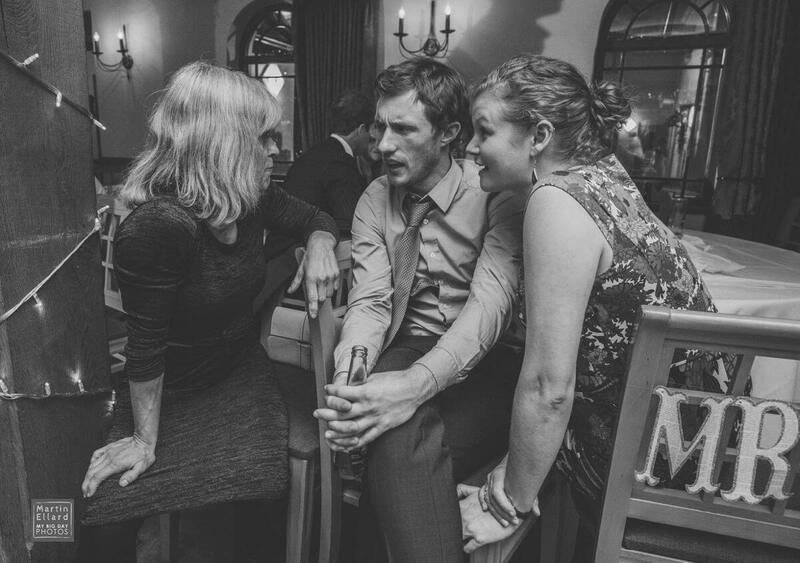 The tables were named after locations of Sam and Eleri’s favourite rock climbing routes. 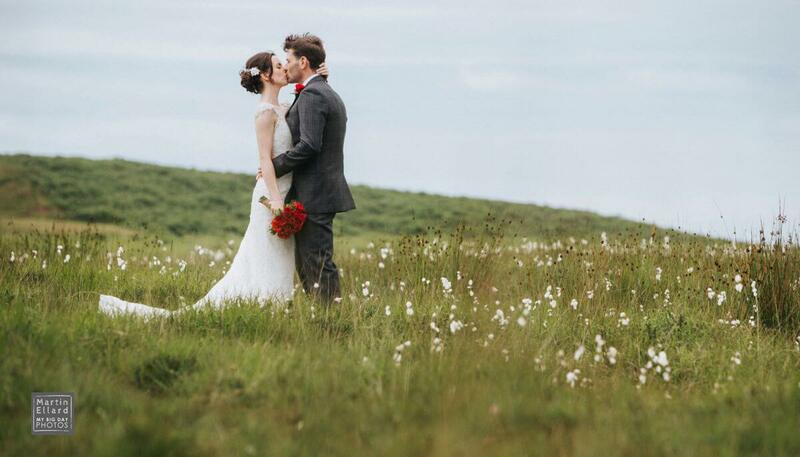 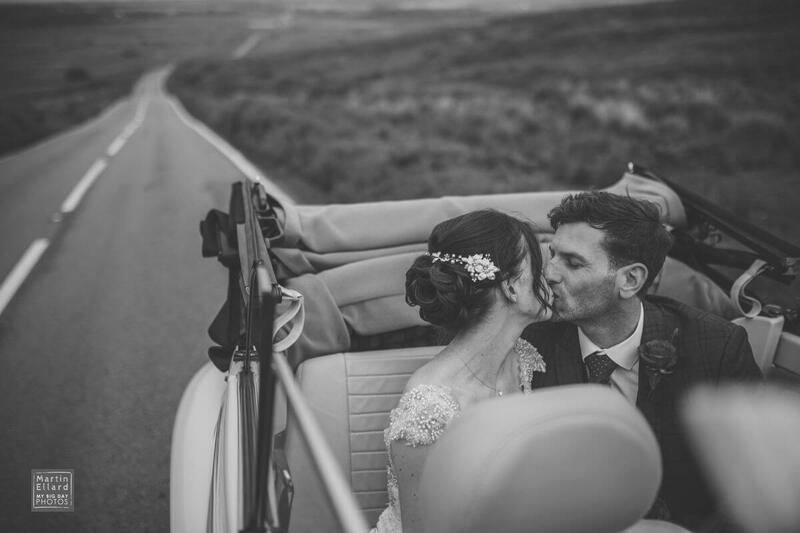 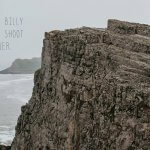 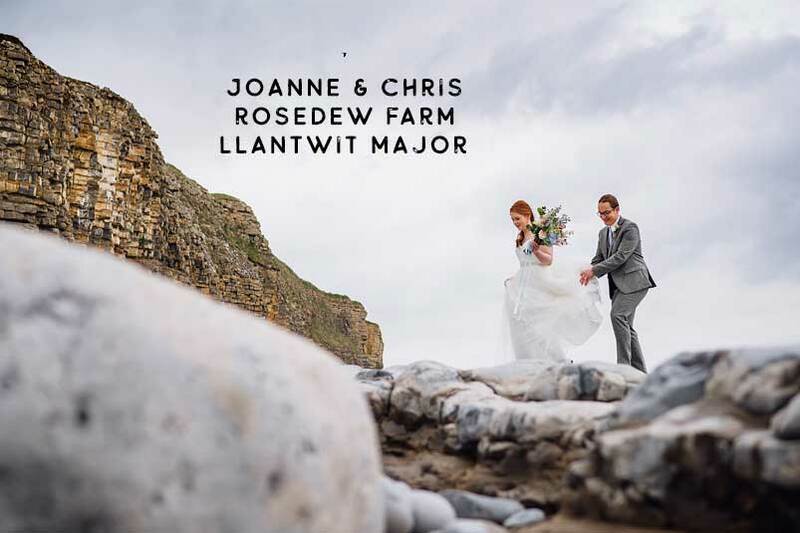 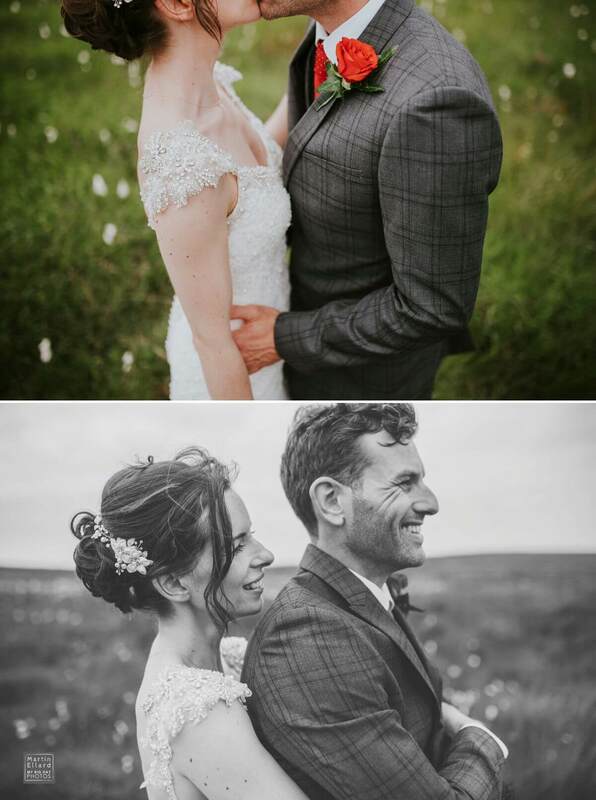 We had originally planned to take the couple photographs at Rhossili Bay, but considering the amazing shots we had there during the engagement shoot and the amount of road traffic on such a nice day, Sam and Eleri decided they didn’t want to stray far from their guests. 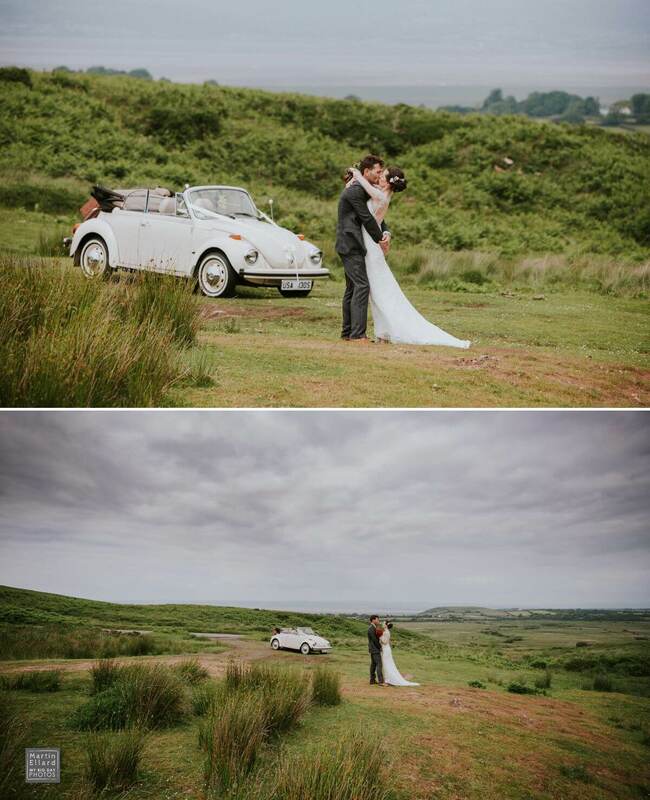 We went to a spot on Cefn Bryn, two minutes from the venue, it was bright but a little hazy. 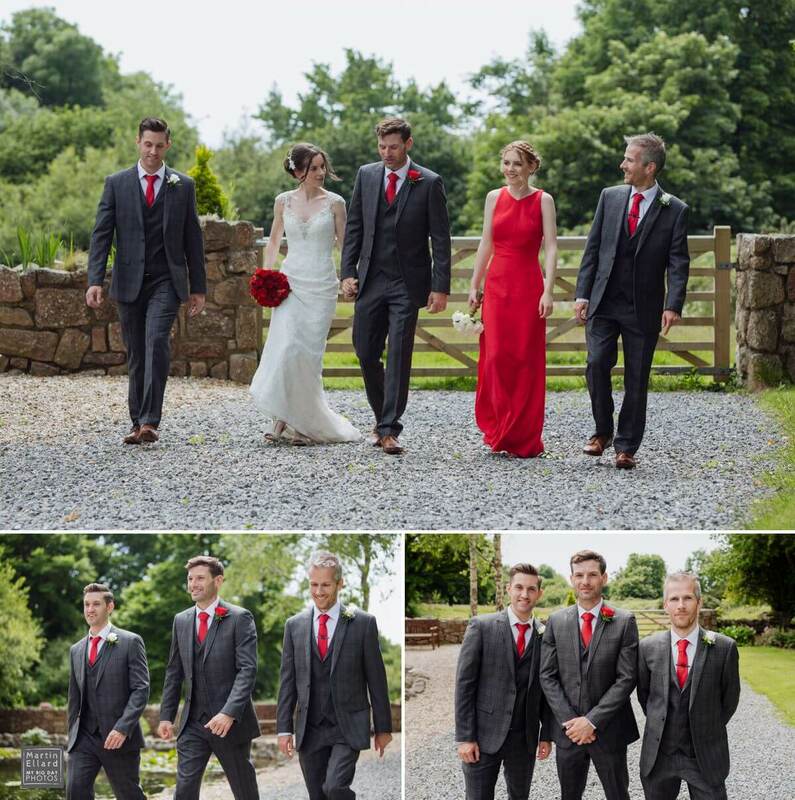 By the time we got back to the venue the sun was out and after the bridal party shots were taken we sneaked in some more shots of the two of them. 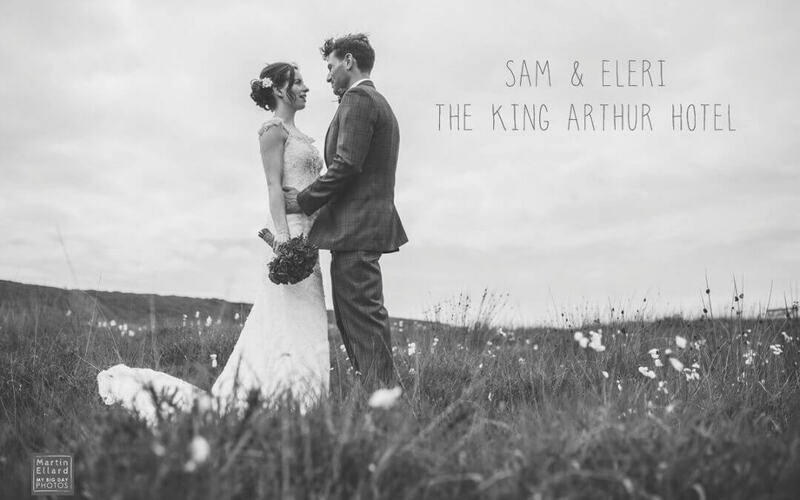 Later, after the speeches, I still hoped for a sunset shot and it was perfectly timed as The King Arthur’s staff started changing the room for the evening reception. 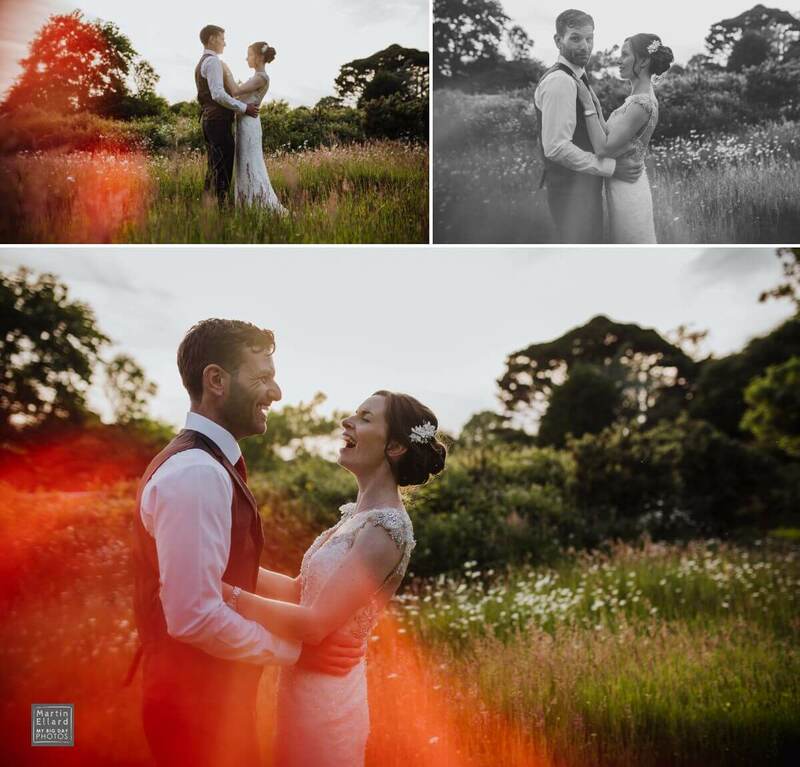 The venue’s meadow is one of my favourite places to shoot especially at this time of day. 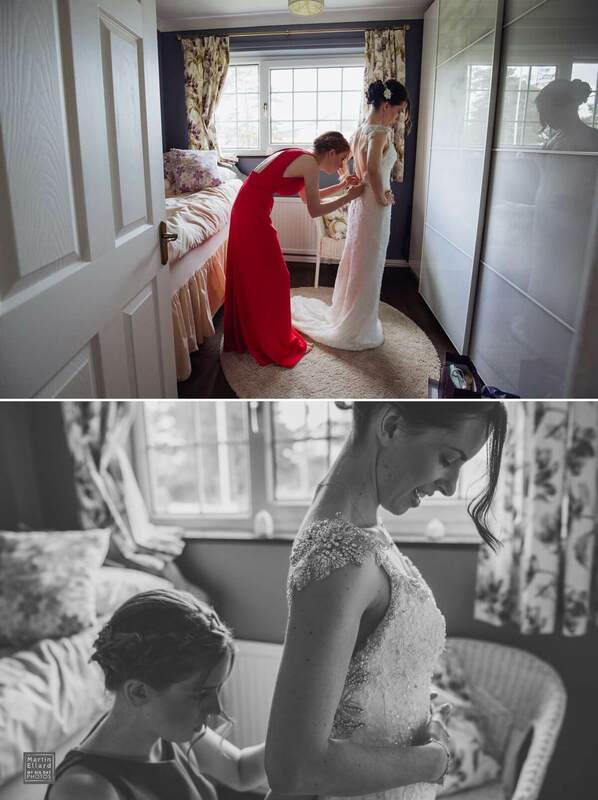 It’s quiet, secluded and after taking pictures I can leave the couple to have some time together before the party begins. 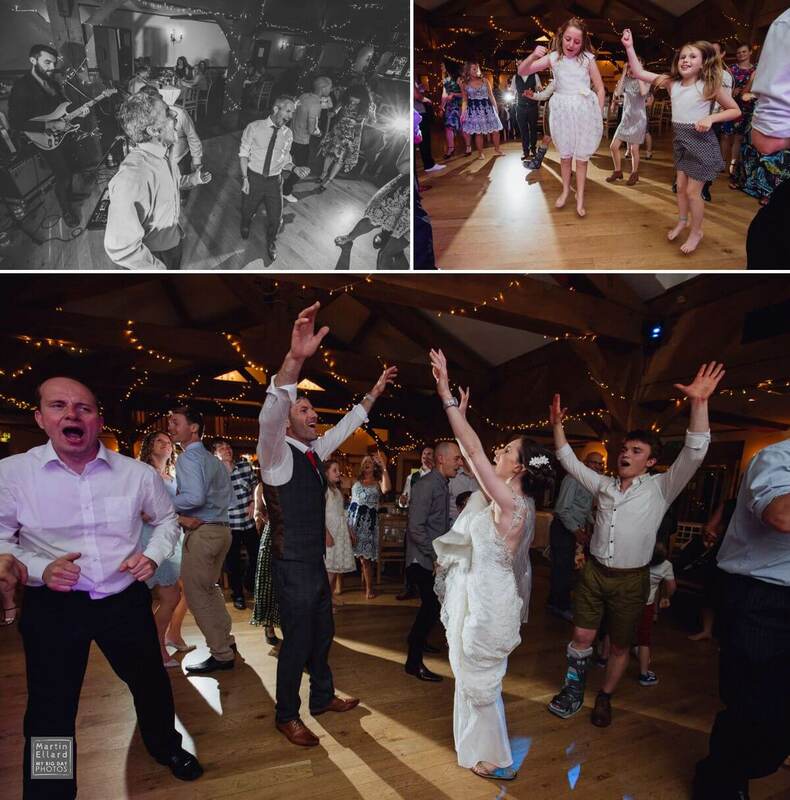 The evening began with the first dance, which turned into a full on crazy night of dancing with music provided by the amazing iRock. 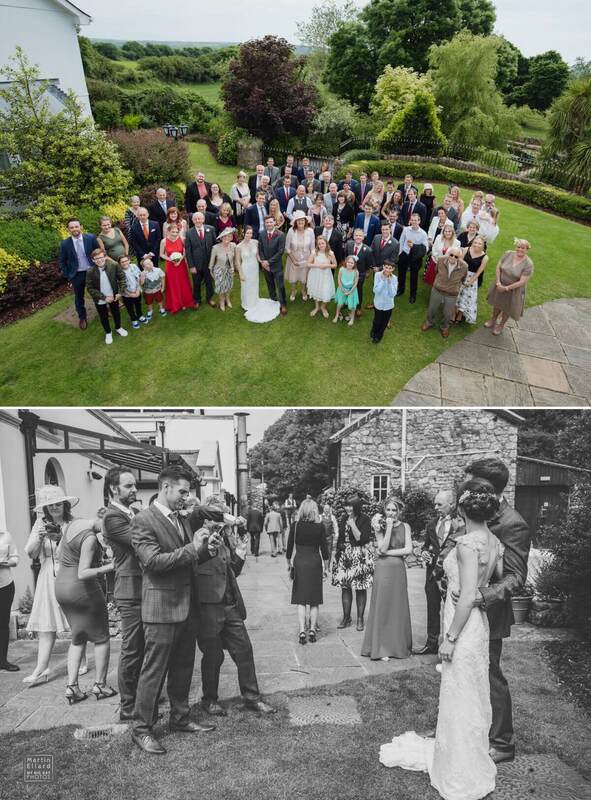 Here are some other suppliers from the wedding. 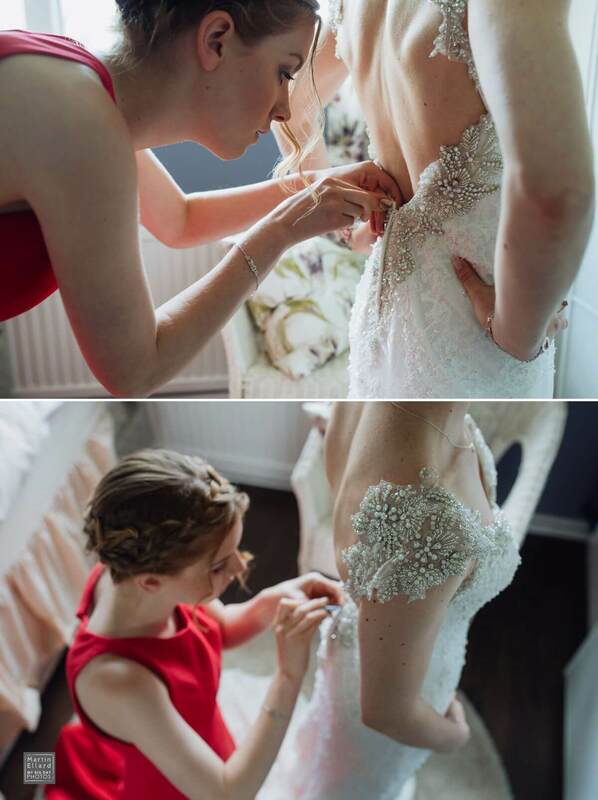 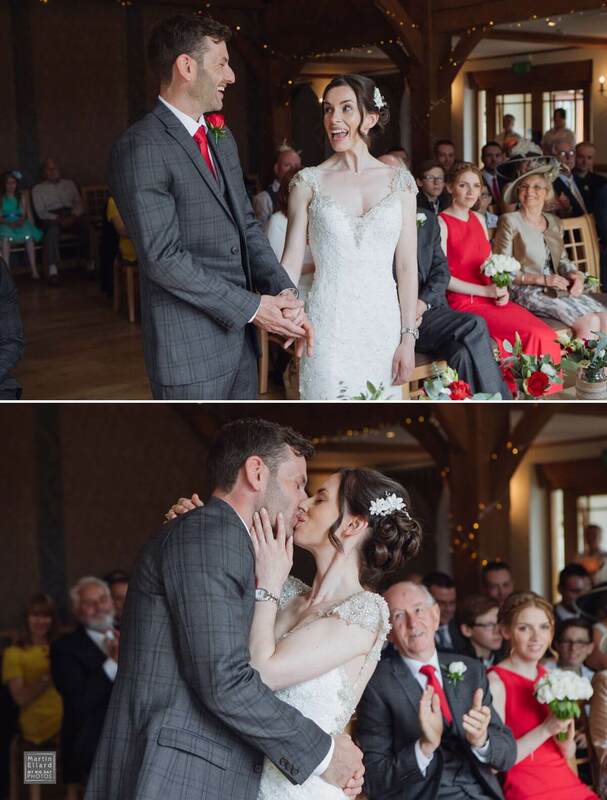 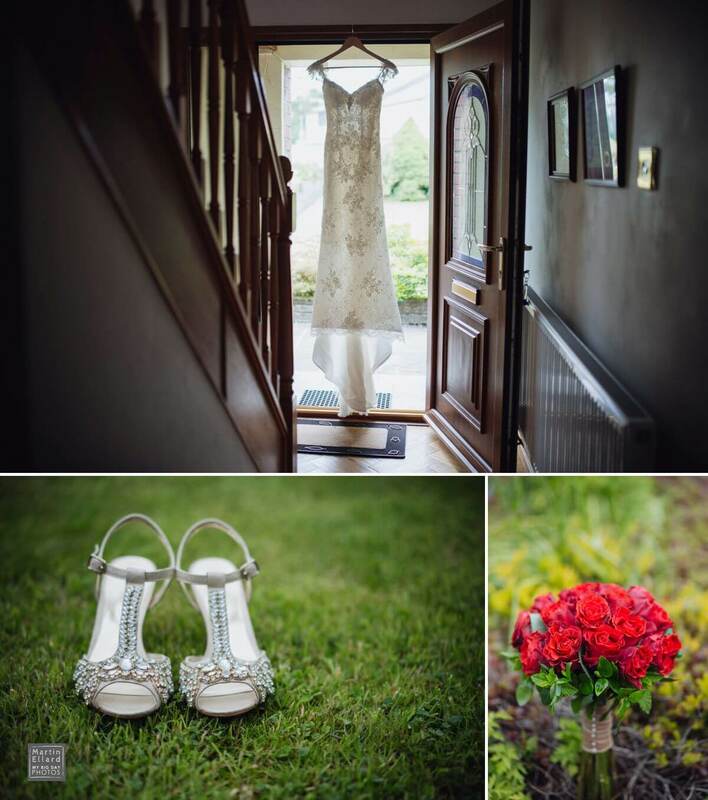 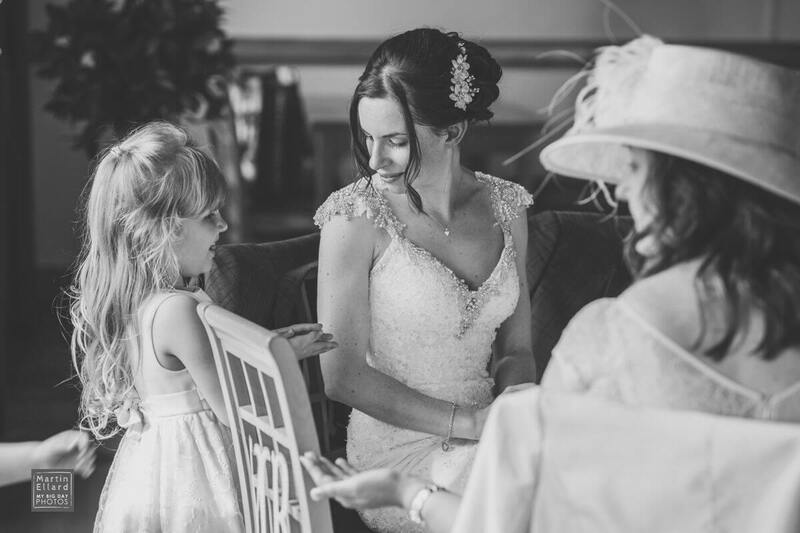 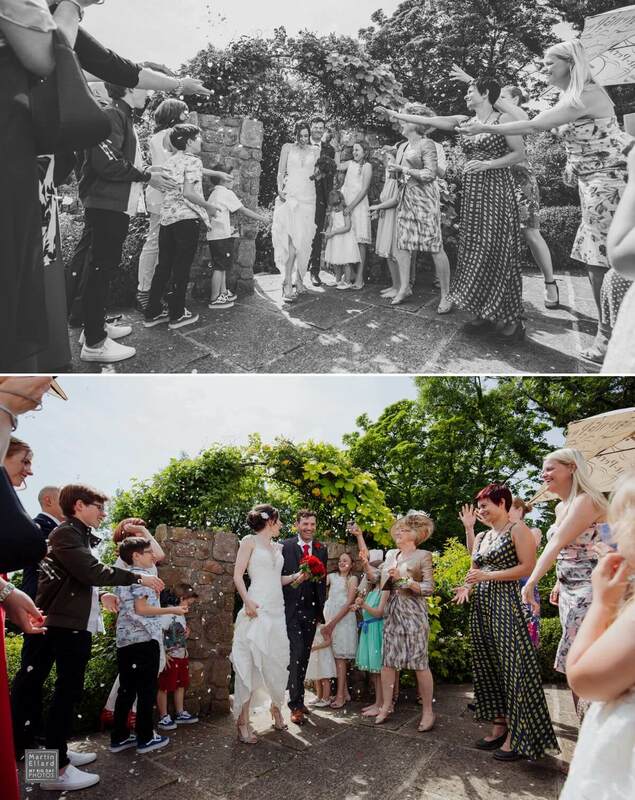 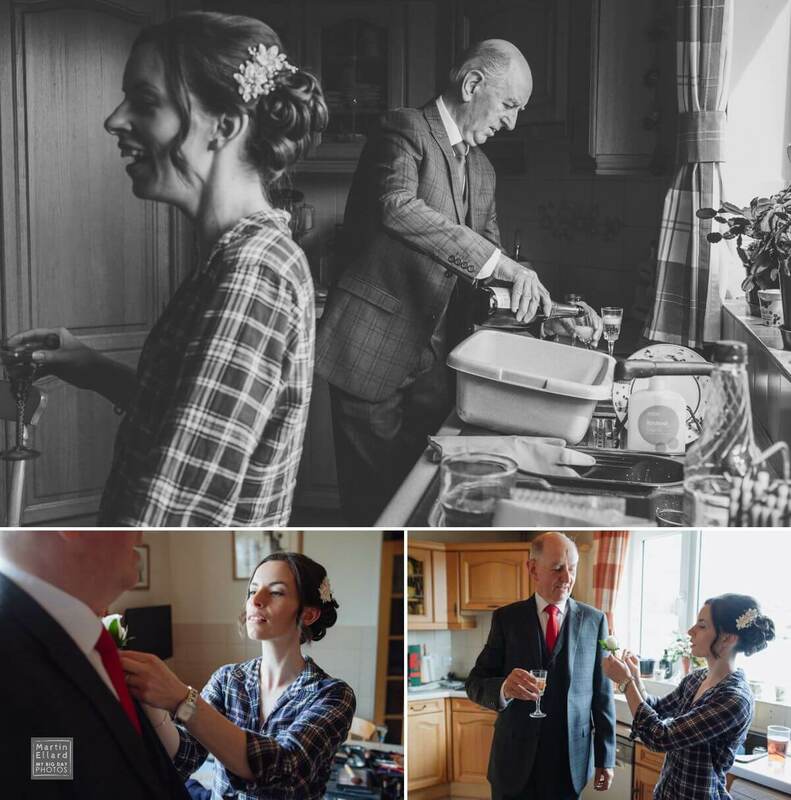 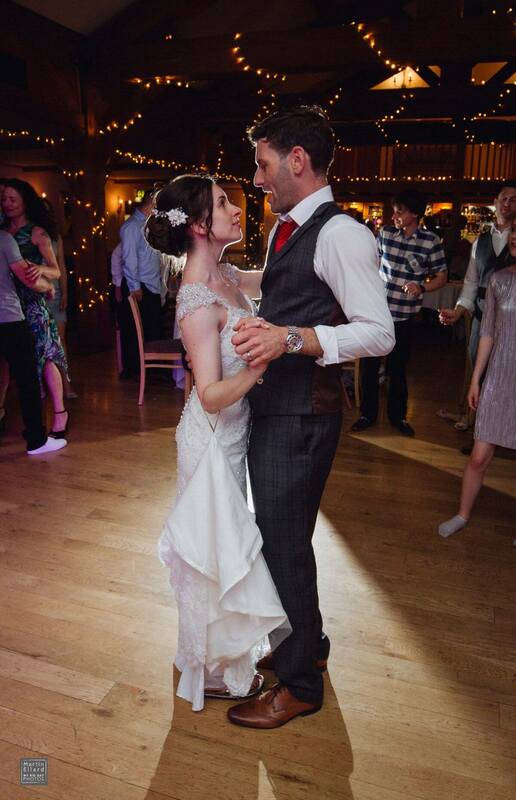 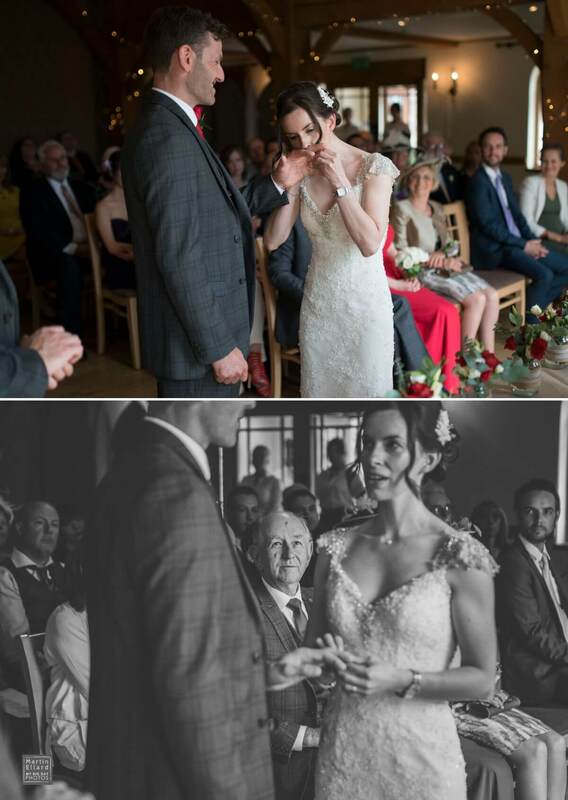 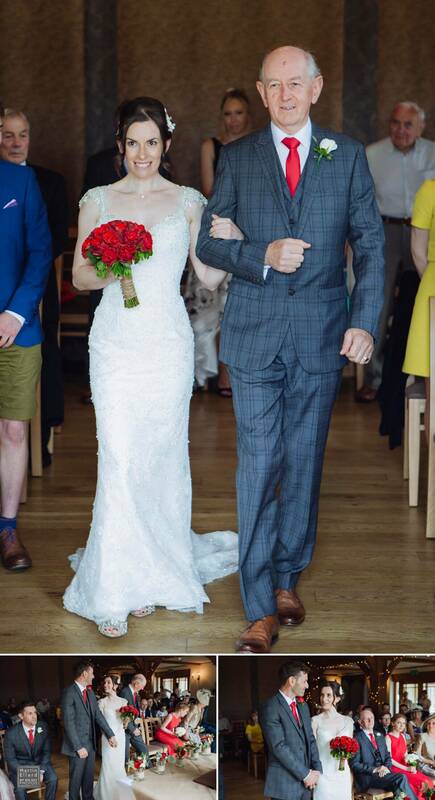 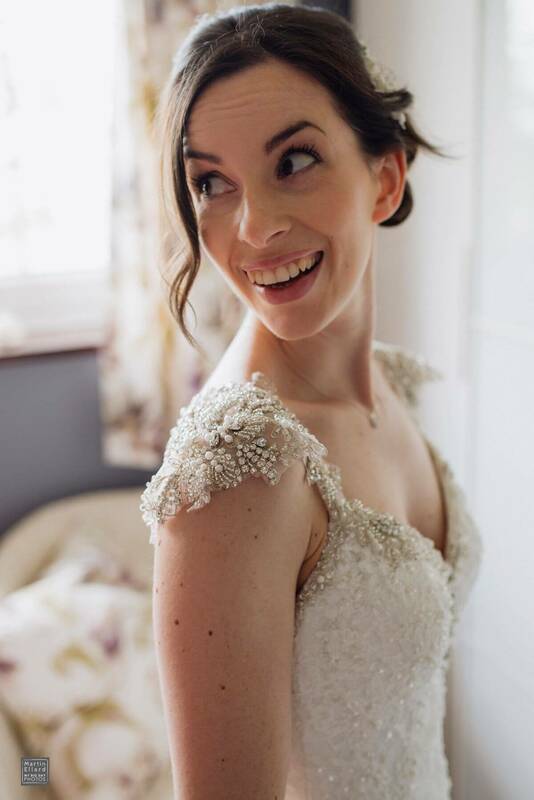 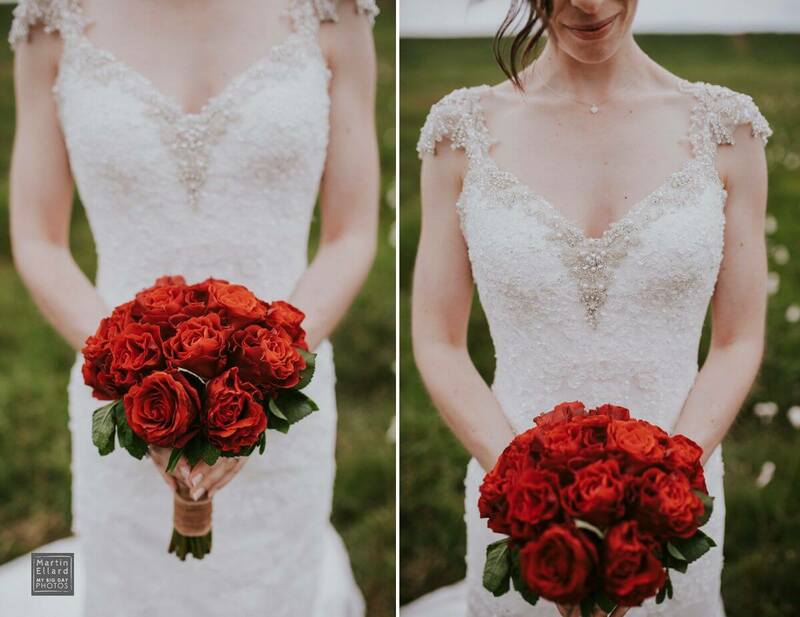 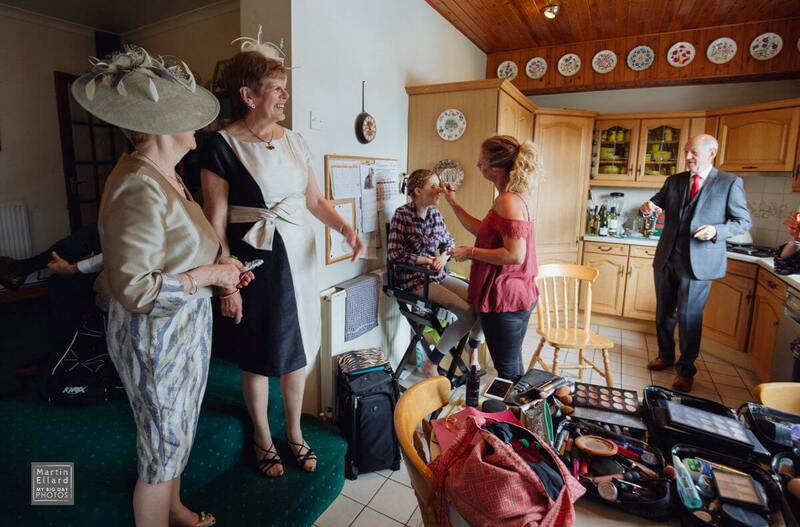 Dress – Maggie Sottero, bought from Emma Phillips Bridal, Carmarthen.